The famed animation studios is back to its best with the latest film in a series which has stuttered somewhat since 2010’s glorious Toy Story 3. 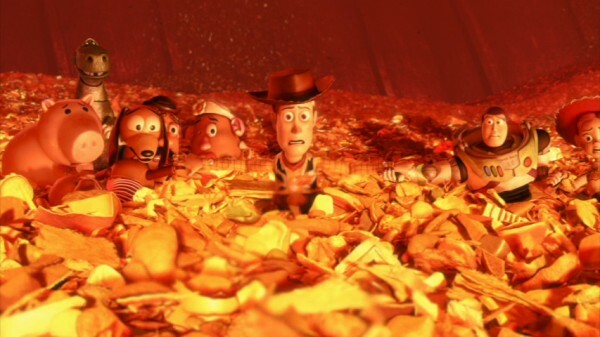 We held our breath as Buzz, Woody and the gang came perilously close to a burning pit of hell at the end of that emotional roller-coaster and like the former film, Inside Out deals with the difficulty of change, growing up and letting go. 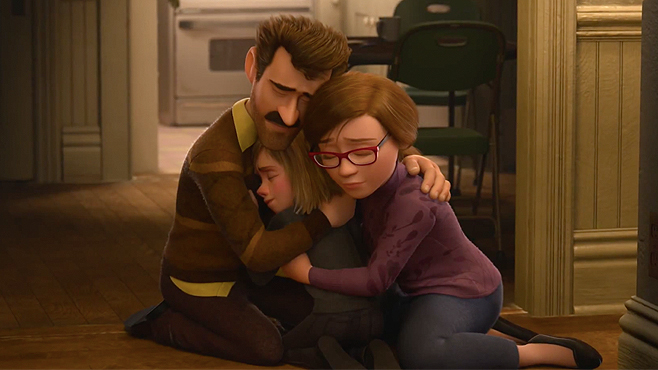 Inspired by a difficult period in the life of his daughter, director Pete Docter replaces favourite childhood toys with five key Emotions as our main points of view, delving deep into the mind of 11 year-old Riley (voiced by Kaitlyn Dias) as she copes with moving from rural Minnesota to a new life in big city San Francisco with her parents (Diane Lane and Kyle MacLachlan). The film conjures the kind of poignant, universal story that will appeal to all but will also make you work your grey matter. It is more an alternative road trip than a roller-coaster but the prominent, and elegantly articulated, psychological element of the film will provide food for thought for any viewer. From Headquarters, the command post inside the vastness of Riley’s mind – which includes Long-Term Memory, Imagination Land, Dream Productions and her Personality Islands – we see how her internal Emotions deal with, and influence, challenging external circumstances. The famous five, who we spend most of our time with, are Joy (Amy Poehler), an effervescent and ever-glowing ball of positive energy; Disgust (Mindy Kaling), all sneers, attitude and eyelashes; Fear (Bill Hader), a withering, twitchy hypochondriac; Anger (Lewis Black), a flame red fire hydrant in a suit prone to explosive outbursts; and, as much as they would like to be rid of her, Sadness (Phyllis Smith), floppy and dejected in grey turtleneck and enormous circular horn-rimmed glasses. Together (but mainly Joy) they control the great archive of Riley’s memories, each of which is an orb that glows the hue of its respective emotion. When Sadness (blue, naturally) touches, and tarnishes, a joyful yellow ‘core’ memory, a moment of chaos sees her and Joy sucked out of HQ and dumped unceremoniously in the wilderness of Long Term Memory – a maze of high-walled shelves of old chewing gum commercials, US Presidents and piano lessons. Outside, Riley is struggling with a new home, new school, not making friends and her psyche begins to crumble. Joy must get back to the controls to restore order – or should it be Sadness? Anger, Fear and Disgust certainly aren’t up to the task. With no ‘bad guy’ to battle, the action of the film is a voyage of discovery that becomes a race against time when Riley (or rather Anger) takes drastic measures to improve her situation. Whilst this may seem a little serious, it is far from all doom and gloom. The team at Pixar have once again struck a fine balance between making a point and providing the levity needed to provide moments of hilarity. The instances of diving into parental emotions – mom concerned by how Riley is getting on at school, dad replaying a hockey match in his head – will provide laughs for older audience members. More than one viewing will be beneficial to absorb what is a layered but well composed glut of in-jokes and references that may be missed first time around: The Great Escape and Chinatown are but two that I picked up on: “Forget it, Jake; it’s Cloudtown.” Genius. Whether some of the film’s more complex elements – we get as far as going into Abstract Thought and are broken down to 2D – will alienate a younger audience is questionable; however, if the little fella sat a row behind me gurgling with delight is anything to go by, the stunning visuals of the film are certainly enough to keep them well entertained. 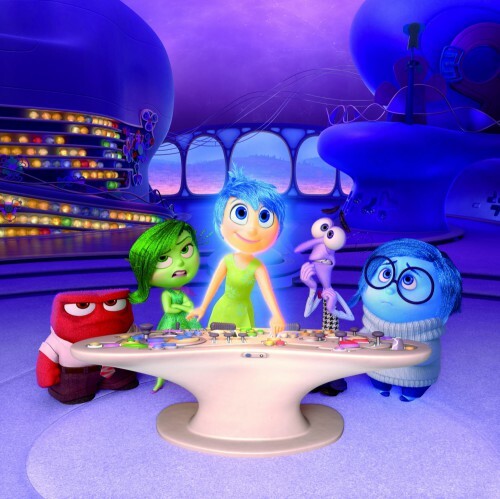 Inside Out is yet another triumph for Pixar. Entering the minds of a selection of characters in the closing moments reveals the scope of what is possible with this concept and I, for one, would be more than willing to see what the future holds for Riley and the ever-increasing complexity of her emotions. She’s twelve now, what’s the worst that could happen? “What took you so long?”: First full-length SPECTRE Trailer released!